Built on a solid inventory platform, RetailSoft is engineered to make every retail business process intuitive and easy to operate. As retailers, you face a number of ongoing trends and challenges that shape your operations and need to be managed. AlmanaSoft understands these trends as well as challenges and can confidently help you improve or eliminate them through RetailSoft. The implementation is done with capabilities that result in streamlined business processes, significant financial savings as well as positioning retailers to achieve key strategic objectives. AlmanaSoft has the experience and knowledge to empower retailers with seamless and differentiating solutions for multichannel management, store operations, merchandising, financials, and more. Use retail ERP solutions, modules and applications you need when you need them, and turn on additional functionalities as the business grows. Easy access pre-integrated, best-in-class modules for retail to customize and manage your data in a way that fits your unique retail needs. Run the tools you need all on a single system to eliminate manual data entry, reduce errors, and drive productivity. 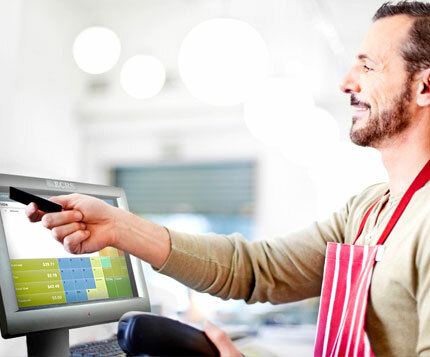 RetailSoft offers the finest retail software features as well as hardware equipment’s retailers need to efficiently manage their business. As the leading Retail ERP, RetailSoft has been developed and implemented with multiple layers of data redundancy for comprehensive security and business continuity. RetailSoft in all its capabilities can be set up and implemented in no time. Migrating your business into the RetailSoft platform can be done seamlessly and before you even know, your business will be in safe hands. Retailers are benefitted from the combined knowledge and expertise that RetailSoft brings in implementing retail specific ERP solutions, designed to help you meet and exceed your own customer’s expectations. Connected: react quicker to changing market trends and tastes by providing customers with what they want, where they want it and when they want it. Proactive: remove cost from the supply chain by providing greater operational insight. Empowered: utilize the full internal knowledge that you already possess by creating a single view of all your valuable customers. Things coming in, things going out, and all in the speed of light. Having a hard time keeping up with your inventory demands? Allow RetailSoft to automate this process for you. Define min/max levels and forecast orders based on sales history using our revolutionary Stock replenishment feature. Take the guesswork out of ordering from your suppliers. 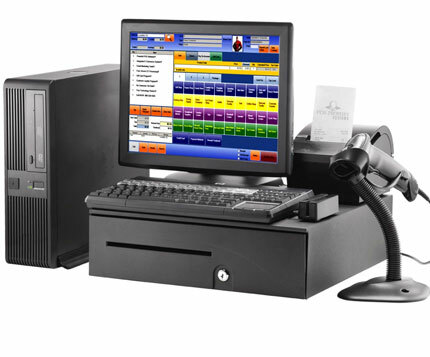 RetailSoft gives you a complete package and when we say complete, it includes both hardware as well as software. Promotions are designed to inform, persuade, or remind the market of your firm and its products and ultimately influence consumer behavior. RetailSoft contains all the tools that you would need to manage this influential yet inevitable aspect of your business and get a clearer picture of what campaigns are most effective. Get to know your customers! Our Retail CRM allows for sales history tracking, email receipt capability, as well as customer grouping. Use our fully functional Retail CRM to capture important customer data. Send out email/sms alerts to customers about special sales or upcoming events. RetailSoft’s powerful reporting module translates all of your transactional data into clear, concise reports that measure sales performance. But reports do not stop at sales; RetailSoft contains a wide array of pre-designed reports for Retail Stores, Point of Sale, Inventory, Purchasing, CRM and more. Use these standard reports to monitor performance and make smarter decisions, all of which are exportable for manipulation. One of RetailSoft’s greatest advantages is its ability to provide customers with automatic, consistent upgrades to the system. However what good are automatic updates, if the offerings are not innovative? At AlmanaSoft, our pioneering development team focuses on adding tools that promote growth and retention. Leave the market research up to us; it is what we do best.